Whether it's the family car or a fleet of heavy vehicles, a strong, good looking carport from Garage World will add value to your property and protect your valuable assets from the elements. You can choose from a variety of COLORBOND® Steel colours, and we can customise any of our professionally engineered flat roof (Skillion roof) and gable roof carports for sale to match the colour and profile of your home, shop or commercial building. Like all Garage World products, our Australian made carports are built strong and built right to Australian standards using high quality workmanship and premium steel products. Not quite ready to buy a carport? 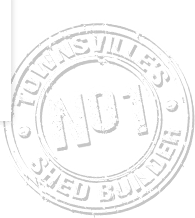 See our examples and talk to the carport specialists at Garage World Townsville or apply now for a FREE online quote and let us help you add value and style to your home or commercial property.